You are here: Home / Foster / Waiting For A Foster…..
It’s a shame, the number of pets who are waiting for a foster family. Often, the difference between life and death for a shelter animal is a FOSTER. 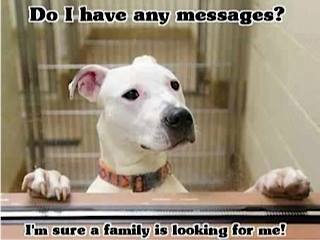 Please consider fostering an animal currently sitting in a shelter waiting for a family of their own! If you are interested in fostering an animal in the NYC ACC shelter system, please contact a New Hope Partner today!